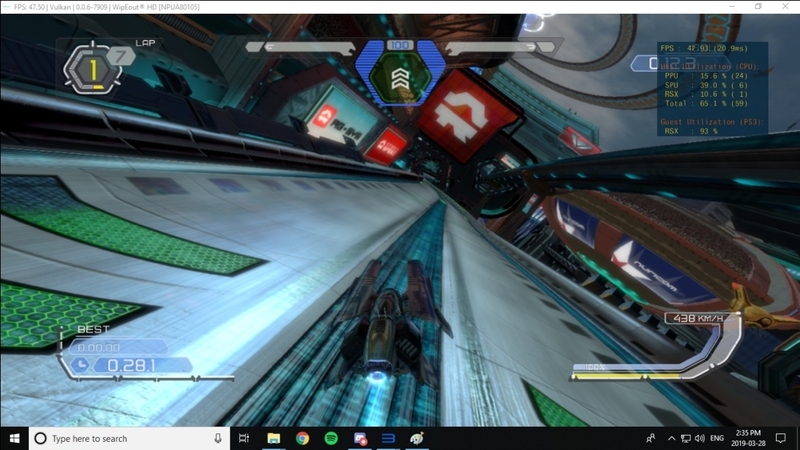 Shows intro and menus, but freeezes on race start. 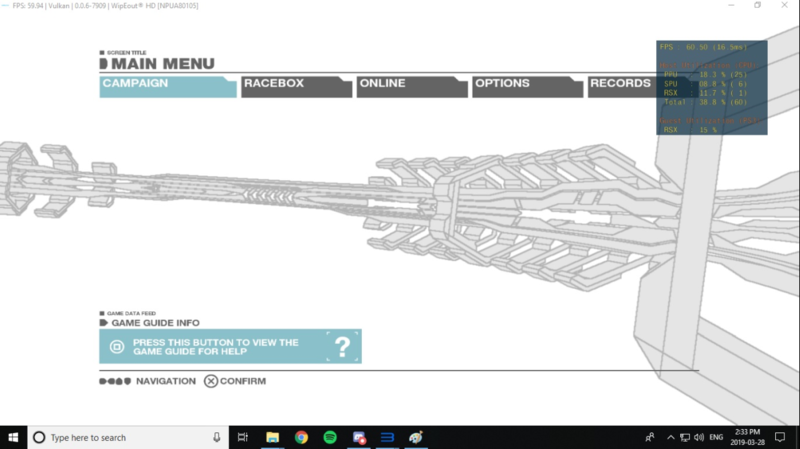 Menus all seem to work alright, ship previews have broken shadows. 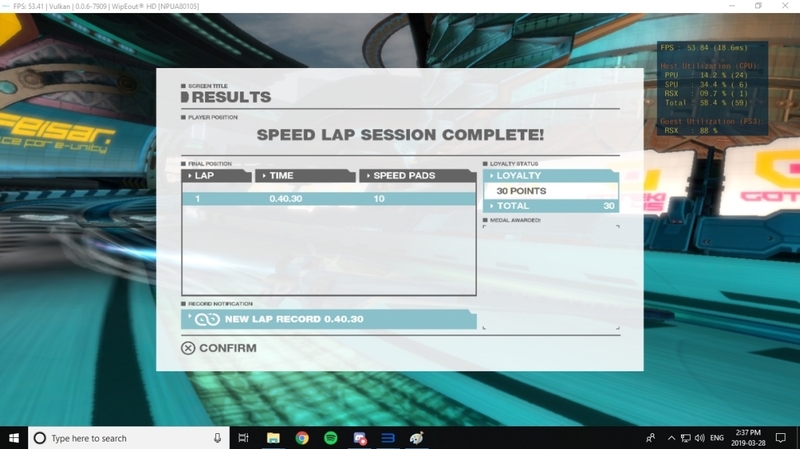 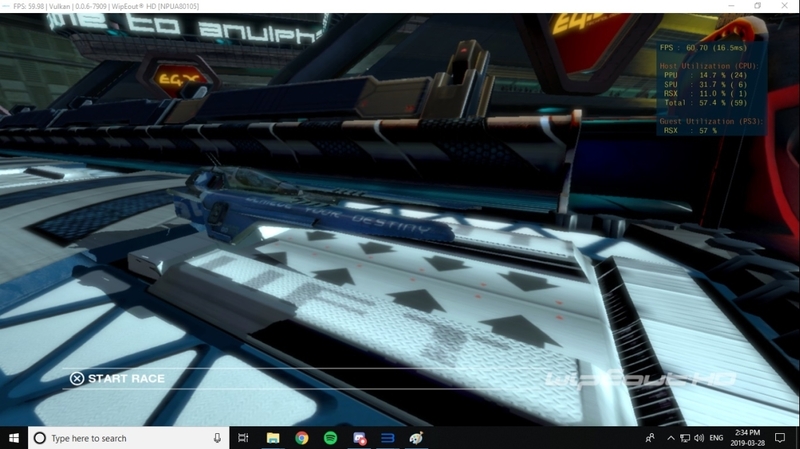 Trying to load into a race (campaign or matchbox) fades to white, FPS counter freezes, and it spams two sys_rsx lines in the log. 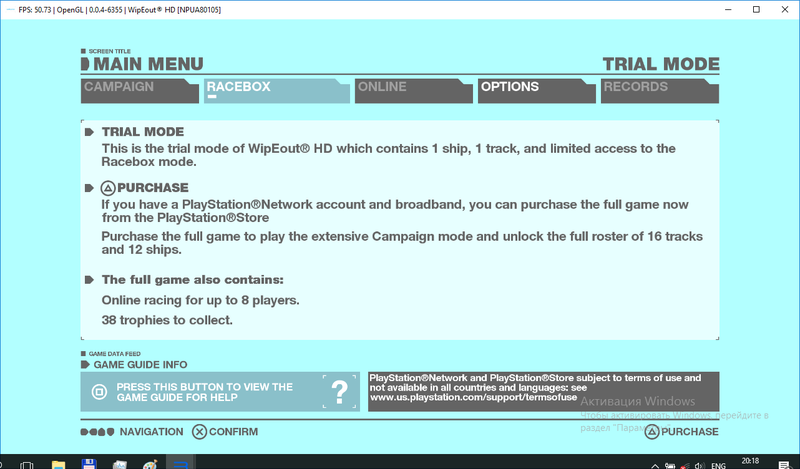 Needs Write Color Buffers for menus to display correctly. 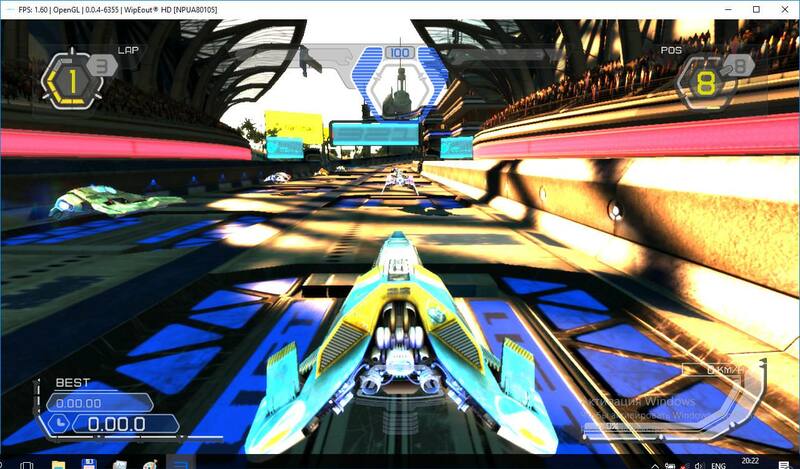 Indeed playable on a CPU w\ 8 threads.